We will continue to find some best deals on Thanksgiving Dinner Special and will post it here. Check back for our updates. Mahalo! The famous Lahaina Halloween on Maui is coming soon. Just a couple more weeks and it’s here. This is an event that many look forward to. It’s been called the “Mardi Gras of the Pacific”. Early in the day there will be some keiki activities and festivities are geared towards family. Later at night is more for adults. Below are copies of the fliers with information you need. Colleen’s in Haiku. Burger and Beer night. For the first time at an AWT event there will be Live webcasting of all the heats. The heats will be streamed through the AWT website www.americanwindsurfingtour.com with live commentary and guest chats with the stars of the event. For an unprecedented 19th time, Maui captured “Best U.S. Island” (formerly “Best Pacific Island”). The publication also deemed Maui “Best Island in the World” in its 25th annual CONDE NAST TRAVELER Readers’ Choice Awards. In fact, with a score of 92.1, Maui bested all other island and city destinations named in the poll. Maui’s score once again surpassed all other top destinations globally beating out every “Best City” category winner including U.S. (Charleston, SC, 86.7), Africa (Capetown, 84.8), Europe (Florence, 83.3), Asia (Bangkok, 83), Canada (Vancouver, 81.9), Australia & The Pacific (Sydney, 81.7), Central & South America (Buenos Aires, 76.1), Caribbean & The Atlantic (Gustavia, St. Barts, 71.1 and Mexico (Sane Meguel De Allende, 71.1). In the “Top 25 Hawaii Resorts” category, Maui County dominated with 11 properties honored; four of the top five are resorts of Lanai and Maui. Leading the way was Four Seasons Lanai, The Lodge at Koele (96.2) while Hawaii Island’s Four Seasons Resort Hualalai placed second (95.2). 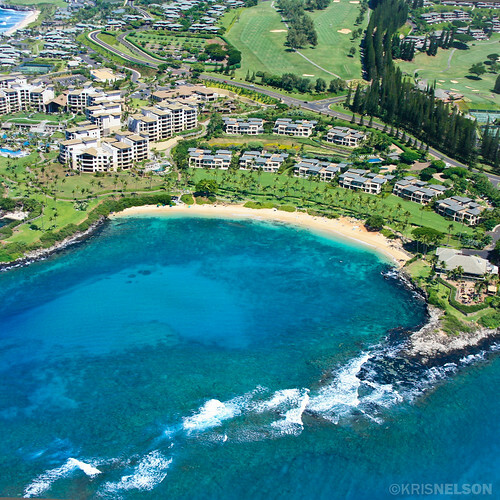 At #3 is Four Seasons Resort Lanai at Manele Bay (94.7) while Four Seasons Resort Maui at Wailea ranked 4th (93.9) and Wailea Beach Villas 5th (93.7). Every year, the most discriminating travelers in the world pick the world’s superlative hotels, resorts, airlines, cruise lines, islands, and cities. In its 25th incarnation this year, the Readers’ Choice Awards are vaster and more compelling than ever before, featuring more than 1,300 properties and places that are truly the cream of the crop. Staying on the westside of Maui and looking for a place to eat? There is a new restaurant that we would like to recommend. It is the Maui Fish and Pasta. It is located in the Whaler’s Village where Cain and Taro used to be. You can see in the photo below that the view is magnificent. You can enjoy the ocean while you eat! The photo above is the “Farm To Table Kula Beet Salad”. Locally grown delicious sweet baby beet (yes, so sweet!) in aged sherry vinaigrette tossed with Ho Farms tomatoes, Haricot Verts, Cucumber, Spinach & House-made Ricotta. This salad so refreshingly delicious. Now for the entree: Pan Roasted Hawaiian Swordfish and House-made Linguini. This fresh made pasta was tossed with Chinese Dan Dan sauce and sugar snap peas, shitake mushroom, cilantro and Ho Farms tomatoes. The fish was cooked just right with the right amount of panko. For dessert, we had the Buttermilk Panna Cotta with Honey Butter and Upcountry Berries. Oh I can have 5 of these desserts! I love how light it is and yet so delicately tasty! And here’s Chef Ivan talking story with us. He not only creates delicious dishes, he is also a fun guy to talk story with. We really highly recommend this Maui Fish & Pasta Restaurant at Kaanapali. Give it a try on your next visit at the Whaler’s Village on the westside of Maui. The island of Maui celebrated the grand opening of a new restaurant, Alan Wong’s Amasia. Elevating the standards of cuisine, style and service, Alan Wong’s Amasia is a collaboration between Chef Alan Wong, a founder of Hawaii Regional Cuisine and Grand Wailea, A Waldorf Astoria Resort. Alan Wong’s Amasia is tucked inside Grand Wailea’s Japanese garden surrounded by 800 tons of rock from Mt. Fuji and a pond filled with koi and turtles. Reminiscent of a teahouse in Kyoto, the original structure was built in Japan and brought to Maui in 1990. Following a $3 million renovation, the beautifully restored restaurant features private tatami rooms, a formal dining area, a cocktail lounge, a sushi bar and a robata for grilled delicacies. The bar offers private label wines and sakes and creative cocktails inspired by its global menu. Amasia by definition is the converging of continents. The cuisine in Alan Wong’s Amasia showcases Maui’s best bounty from land and sea, melding them with the different flavors and cooking techniques of cultures from the East and West. We are working on a new video for our luxury rental Makena Surf. It’s taking longer than what we originally thought it would take to put it together. But it will be fun when it’s done. I can’t wait to upload it! In the meantime, check out this video we have right now… Aloha! Want to receive gifts, discounts, tips and newsletter updates? Join our ALP Ohana now! Ken & I just wanted to thank you SO much for such a wonderful stay at your lovely condo. In our experience we have never seen a property that has included so many amenities. All your special touches made us feel so at home. We will highly recommend your property with complete confidence. Want to receive gifts, discounts, tips and newsletter updates? Join our ALP Ohana now! Have questions? Contact us, we’re happy to help!